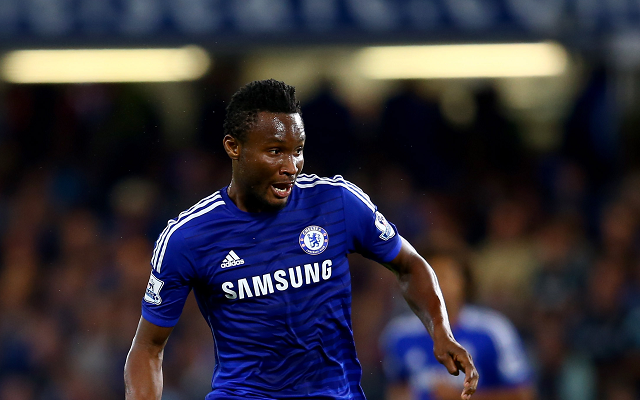 Real Madrid are reportedly lining up a bid for out-of-favour Chelsea midfielder John Obi Mikel. According to Diario Bernabeu, the European Cup holders have set their sights on bolstering their engine room with the experienced Nigeria international. Los Blancos head coach Carlo Ancelotti worked with Mikel during his time at the helm in west London, and is keen on setting up a reunion when the transfer window reopens. The 28-year-old is one more season away from qualifying for a testimonial, having joined the Premier League leaders in 2006. However, he may be willing to sacrifice the milestone in order to pursue more match time, having made only 22 appearances this term. On the other hand, he must weigh up whether he stands a better chance of breaking into the Real first-team or re-establishing himself as a regular at Chelsea. Mikel’s contract has two years remaining, which means he could be available for a relatively small fee this summer. He was part of Ancelotti’s double-winning side in the 2009-10 campaign, tasting Premier League and FA Cup glory under the Italian.